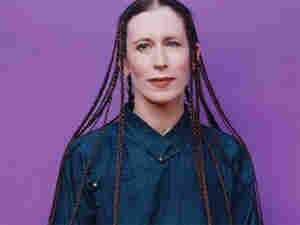 Meredith Monk: Of Posterity and 'Impermanence' Monk has spent four decades challenging audiences and winning awards with her unusual fusion of song, theater, dance and film. Lately, she's begun to consider how her work will last after she's gone. Her latest CD, Impermanence, attempts to address that question. 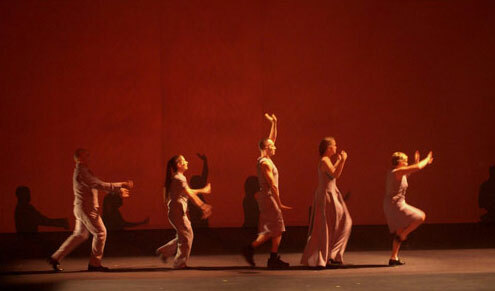 Meredith Monk's group performs a section from the multimedia work Impermanence. Meredith Monk has spent four decades challenging audiences and winning awards with her unusual fusion of song, theater, dance and film. She's won Obie Awards and a "genius grant" from the MacArthur Foundation. For the most part, Monk composes with herself in mind as the performer. But lately she's begun to consider how her work will last after she's gone. In fact, her latest recording is called Impermanence. From its somber beginning ("Last Song"), anchored by two simple chords, Impermanence explores the flux of life. Like Joan Didion's Year of Magical Thinking, Monk's composition captures the pangs of loss that come with the passage of time and the passing of beloved companions. Impermanence was triggered by the unexpected death of her partner, Mieke van Hoek, in 2002. While still picking up the pieces, Monk received an e-mail three months later from representatives of a hospice group in England called Rosetta Life. They invited her to work with their patients, and she found her inspiration in something van Hoek had left behind. "I actually found a tape of her improvising," Monk says. "And I ended up transcribing the little songs and I chose this one which I thought was very singable. The hospice patients said, 'We love to sing.' I sent them the music and I went to London to work on it with them and then they taped themselves singing." "Mieke's Melody #5" became the final tune on Impermanence. Beyond her personal loss, Monk's newfound concern for posterity seems appropriate at this point in her career. "You get to a certain age and you think, 'What am I going to leave behind that other people can enjoy or fulfill in their own ways?' " Monk says. Because the 64-year-old doesn't fit comfortably within the conventions of the music world, the future of her compositions is a serious question. Monk's wide-ranging vocal techniques do not readily lend themselves to the page. While she's written for the Kronos Quartet and the New World Symphony, among others, she's always been the primary performer of her own work. And she develops her pieces orally in workshops with her own ensemble. Violinist and composer Todd Reynolds recently played in a series dedicated to Monk's compositions at New York's Symphony Space. He likens Monk's music to a folk tradition that's made its home in classical music. Reynolds and the other performers took the opportunity to rehearse with Monk. Speaking backstage, Sidney Chen, a member of the vocal ensemble M6, says they needed the composer's input. "All of the pieces that we're doing have a certain amount of give in them," Chen says. "What some of us normally do is start with the page and then try to bring the music off of it." Monk, however, says that her music isn't completely malleable, but that its survival depends on those who continue to sing and play it. The recording of Impermanence is only a snapshot — the residue of a living, breathing form. As she wrestles with the question of remembrance and posterity, Monk has not only composed a profound new work, but has also begun to lay a path that can be followed by future generations of performers.